Dan Hardesty was destined to own a museum, one way or another. His recognition of antiques as important historical objects began at the tender age of six. A mere three years later, at age nine, Dan precociously purchased his first collectible â€“ a cowboy holster. It was a milestone moment for the youngster â€“ one that, unwittingly, would set him on the path to becoming the indomitable force he is today in the field of Old West material. The warren-like rooms in Danâ€™s one of a kind historical attraction took the visitor on a visual journey through the wild and woolly landscape of how the West was won. Nowhere else could you see such a comprehensive array of relics â€“ including saddles, firearms, military uniforms and Native-American artifacts â€“ or sub-collections focused on Buffalo Bill and other 19th-century personalities; 101 Ranch and similar 19th-century frontier entertainment troupes. 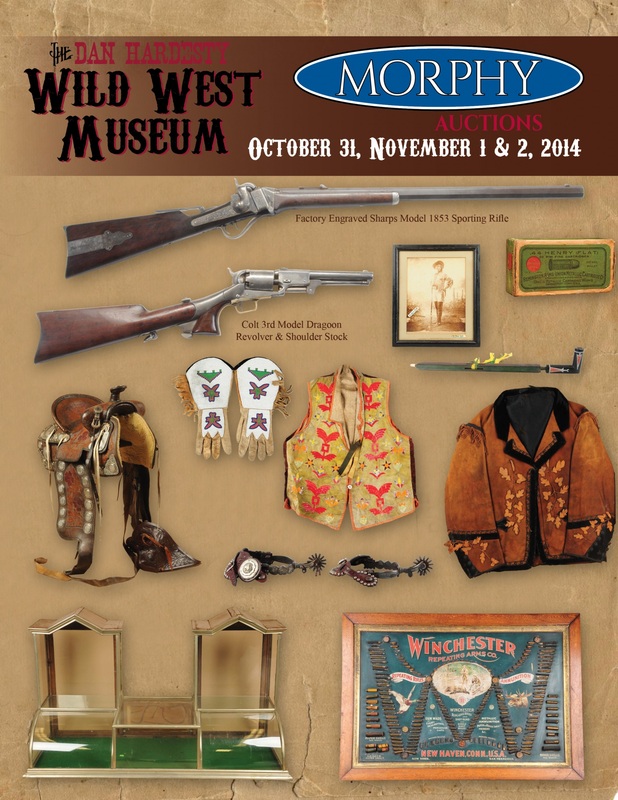 Morphyâ€™s is honored to present the incomparable Dan Hardesty Wild West Museum Collection at auction, October 31 and November 1-2, 2014. The three-day event is chock-full of rarities, some of which may only become available for purchase once in a collectorâ€™s lifetime. We hope youâ€™ll join us for the Oct. 31-Nov. 2 auction of Dan Hardestyâ€™s extraordinary collection. If you canâ€™t attend in person, donâ€™t forget that you can still take part by phone, online or as an absentee bidder. We look forward to hosting this important event and hope to welcome you at the auction.